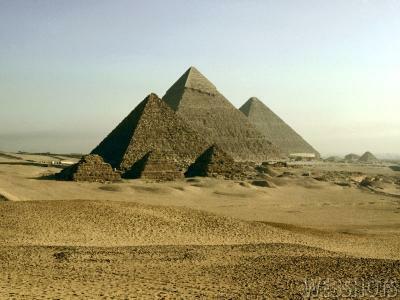 Definition: A Geometrical Shape that is formed by four equilateral Triangles of same size on a square base in such a manner that they form an apex on that Square base is Known as PYRAMID. Meaning: "PYRAMID" is a greek word consisted by two words 'PYRA' + 'MID' where the term PYRA means "FIRE" and MID means "Center Core". Hence it is said that an Object which contains "FIRE" (here the deeper meaning of Fire refers to the energy field) in its Center core or Nuclei. This shows that Egyptian people were fully aware of the deeper meaning of FIRE and were using it accordingly, Thousands of years ago.